A baby was born in China, years after his parents’ death. The baby boy, Tiantian, was born in December 2017, four years after the death of his parents. His grandparents were thrilled to finally see the baby born, despite an rigorous legal battle. The baby boy’s parents died tragically in a car accident while trying to conceive. In 2013, his parents, Shen Jie and Liu Xi, had frozen embryos in hopes of seeing success through in vitro fertilization treatments (IVF). Just a few days before one of the embryos was to be implanted in Liu, both died in a car accident in Jiangsu, China. A legal battle ensued between the grandparents and the hospital where the embryos were being kept, raising questions about medical ethics, citizenship, inheritance, and whether the unborn have rights. 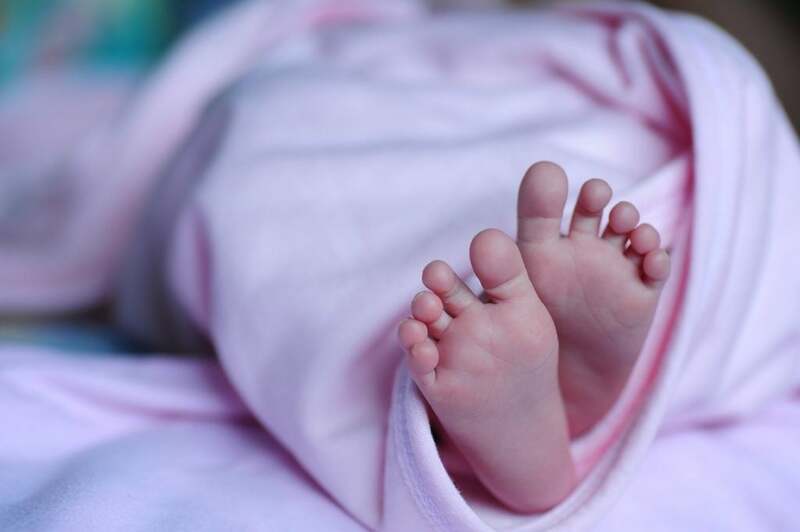 After the death of Liu and Shen, the parents of the couple underwent a lengthy legal battle to obtain custody of the frozen embryos from the hospital in Nanjing. The legal battle raised ethical questions about the rights of the unborn. Do unborn embryos have the right to be born? Who “owns” the unborn embryos? The four grandparents faced an uphill legal battle because there was no legal precedent in China for who could inherit frozen embryos in the event of the parents’ death. Eventually, the grandparents gained legal custody of the embryos, however, the hospital in Nanjing would only grant them custody if another hospital agreed to host the embryos, frozen in liquid nitrogen. Other hospitals were hesitant to get involved, despite the tragic story of the parents’ death and the determination of the would-be grandparents. Since surrogacy is illegal in China, finding a hospital to cooperate didn’t seem like a possibility at the time, forcing the grandparents to look outside of mainland China for help. The grandparents worked with a surrogacy agency and decided to have the embryos implanted into a surrogate in Laos, where the procedure is legal. They then faced yet another roadblock; Chinese airlines refused to allow the grandparents to bring the thermos sized bottle of embryos and liquid nitrogen on the plane. Instead, the two couples had to drive their would be grandchildren to Laos for the procedure. The legal problems resulting from the unorthodox procedure did not stop here. Since baby Tiantian was born to a woman from Laos, questions were also raised about his citizenship. The surrogate traveled to China on a tourist visa so the baby would be born in mainland China. However, unlike the US, China does not practice birthright citizenship; simply being born in China does not guarantee citizenship. In order the grant citizenship to baby Tiantian, his grandparents had to prove he is ethnically Chinese. All four grandparents took a DNA test to confirm they were related to the baby, proving that TIantian is ethnically Chinese and the child of Chinese citizens. Chinese media reports the four grandparents are “thrilled” to be able to continue their bloodline despite Tiantian’s parents’ death. A similar case evolved in the US after actress Sofia Vergara called off her engagement to her ex-fiance, businessman Nick Loeb. During their relationship, the couple had frozen two female embryos which they intended to have implanted into a surrogate. After the termination of their engagement, Vergara refused to see the embryos brought to term, which resulted in an ongoing legal battle which Loeb has been waging since 2015. He has recently filed his third legal suit against the actress. Since no legal precedent for such a case exists, Loeb is attempting to use pre-Civil War era legal codes pertaining to slavery to make his case. Although both parties signed a contract when the embryos were created agreeing that neither could use the embryos without the consent of the other, Loeb filed a right-to-live suit in Louisiana in 2016, which was eventually thrown out. A judge has yet to rule on his current suit. Last month, a Brooklyn man, filed suit against the Manhattan clinic where he had frozen embryos with his ex-girlfriend, Ilissa Watnik, three years before. He hopes to prevent the clinic from granting custody of the four frozen embryos to his ex. The man, Kevin Heldt, wants a judge to decide what should be done with the four embryos being stored with Reproductive Medicine Associates of New York. When the couple froze the embryos in 2015, they signed an agreement granting Watnik the rights to the embryos “for any purpose, including attempting to establish a pregnancy,” in the event of a breakup. When Watnik attempted to utilize the genetic material last year, the clinic contacted Heldt to inform him and remind him of the agreement that had been signed by both parties. Heldt, who has since married his third wife, refused to grant consent, not wanting to see a baby born which he will be financially responsible for. He was promptly informed by the clinic that due to the agreement which he himself had signed, they were unable to refuse Watnik the embryos unless mandated by the court to do otherwise. Watnik’s attorney has pointed out that she is not requesting any parental involvement or financial assistance from Heldt. Instead, she merely wants to see her baby born and raise a family on her own. Her attorney believes Heldt is trying to tie the embryos up in court, because the longer Watnik, who is in her 40s, waits to conceive, the less viable the pregnancy will be. Heldt claims the agreement made with the fertility clinic is vague and legally unenforceable. These two legal cases highlight the fact that legal codes and the norms of medical ethics have not kept up with rapidly advancing technology in the US. IVF and frozen embryos have become a norm, and yet no legal statutes exist to help mitigate the difficulties and disputes that might evolve following a break up or the parents’ death.